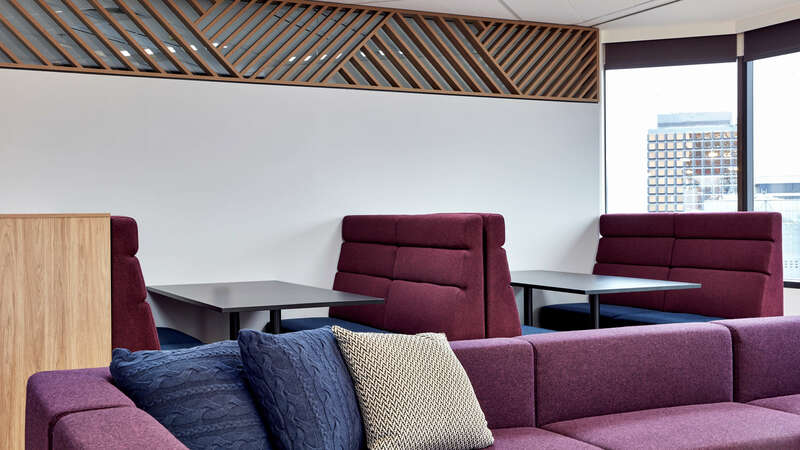 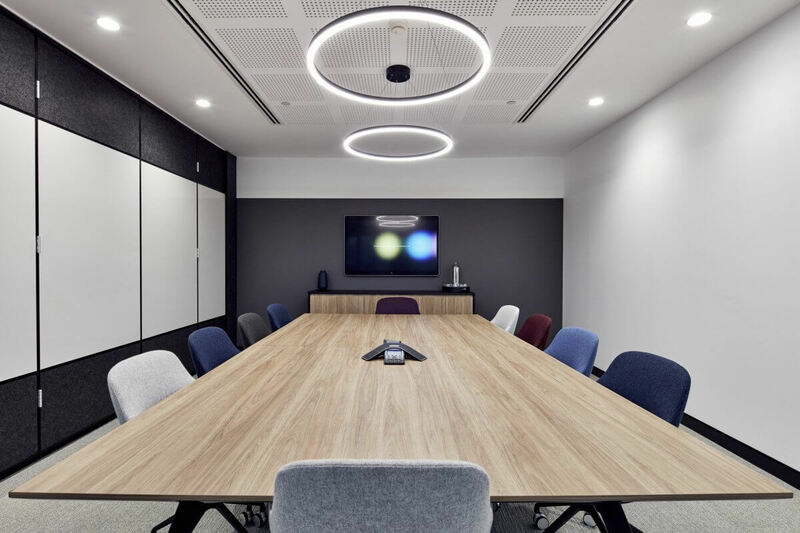 Consumer credit reporting agency, Experian, first contacted Sheldon with the vision to create a new office environment which would promote connection and collaboration, encourage flexible working and have a buzzing, vibrant atmosphere. The new office needed to have a ‘wow’ factor as a significant step forward for the brand in the Australian market. Experian’s existing office was disjointed, with staff separated in different nooks of the building, with little natural light. 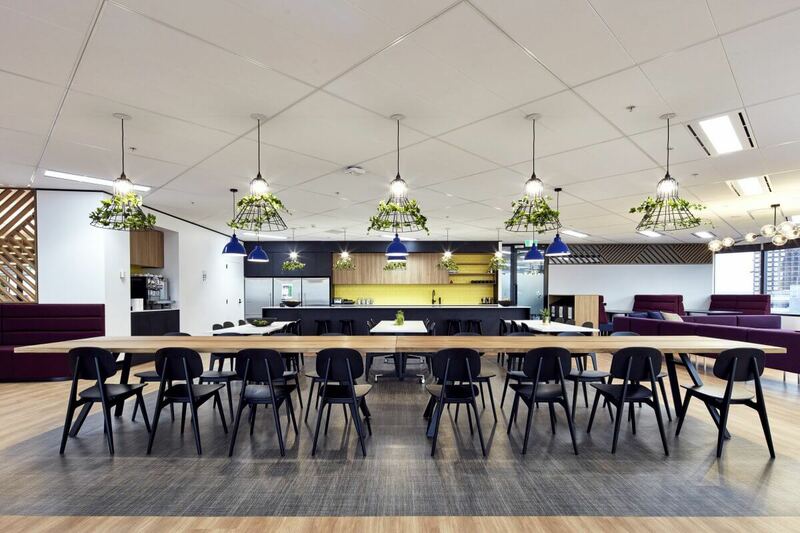 The closed office environment had no breakout or collaborative spaces available, and a lack of meeting spaces. 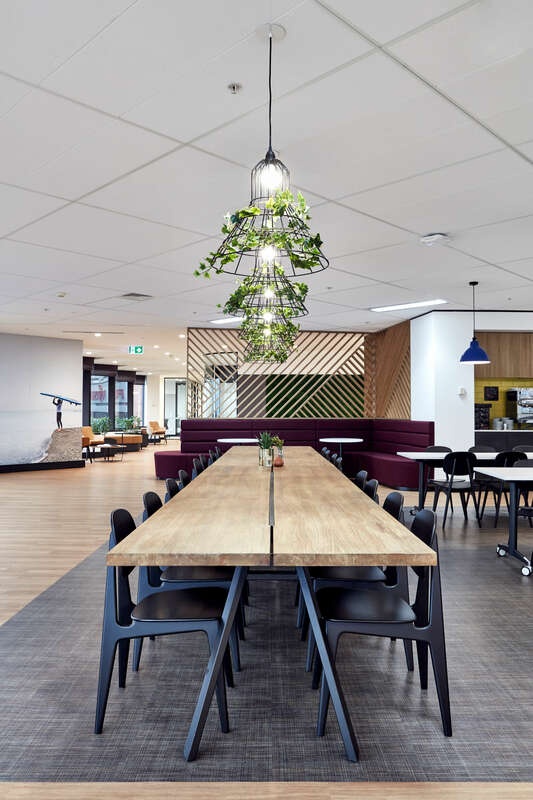 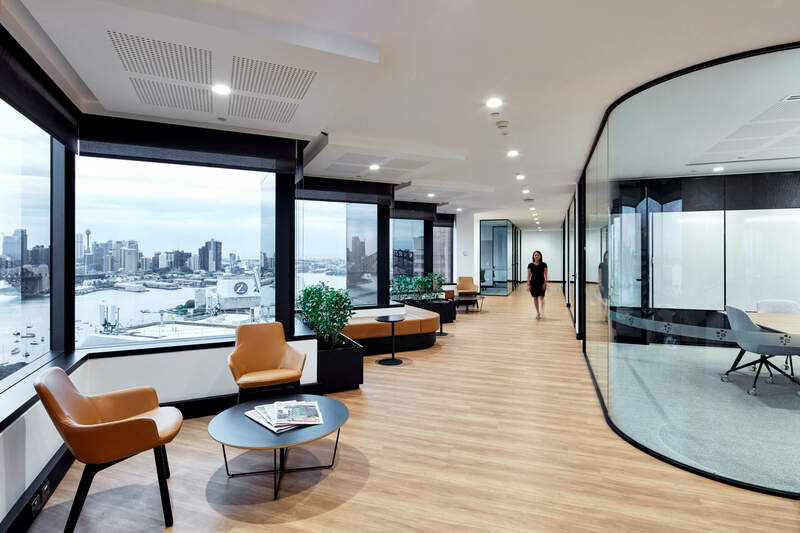 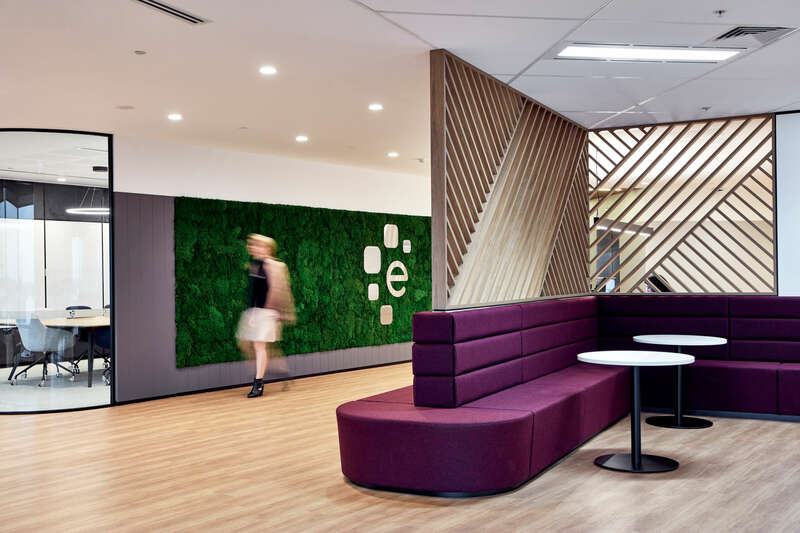 The new building that Experian was moving into came with its challenges, as the fitout was high density in an unusually shaped building. 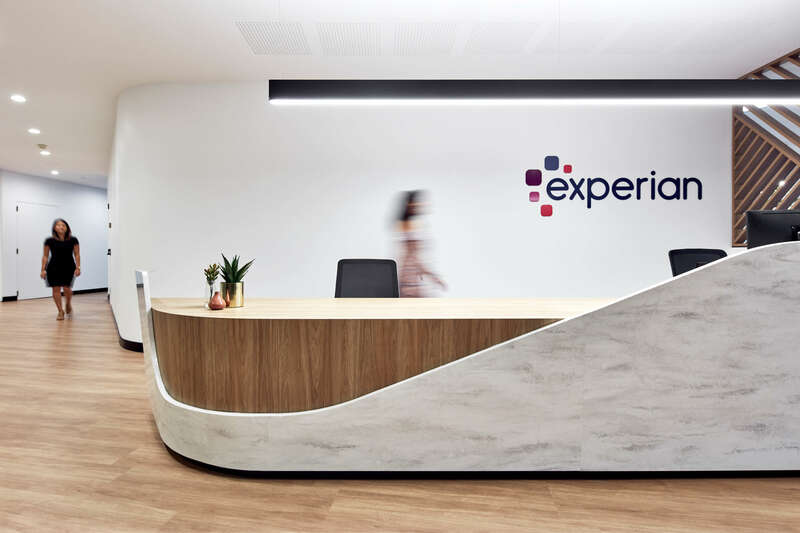 Further, due to the nature of business that Experian conducts, the space needed to have secure areas while maintaining openness and flow throughout the design. 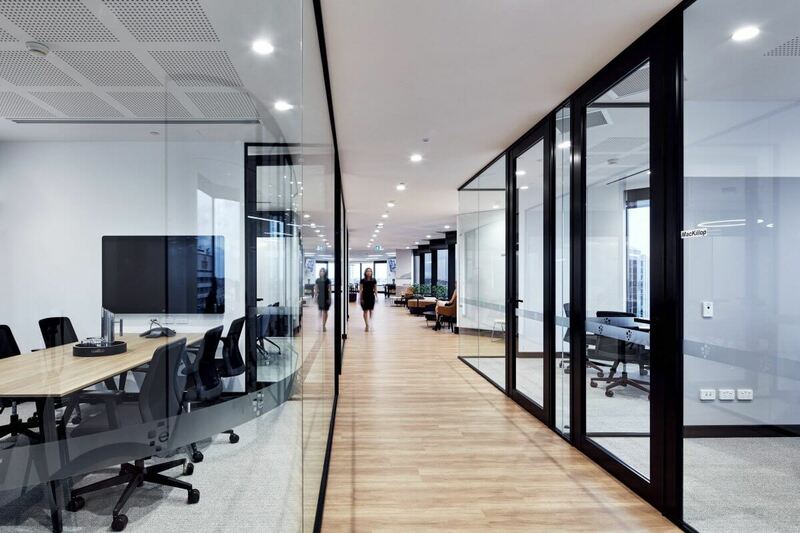 Sheldon worked closely with the client to understand the flow of work and the rationale behind the necessary security measures. 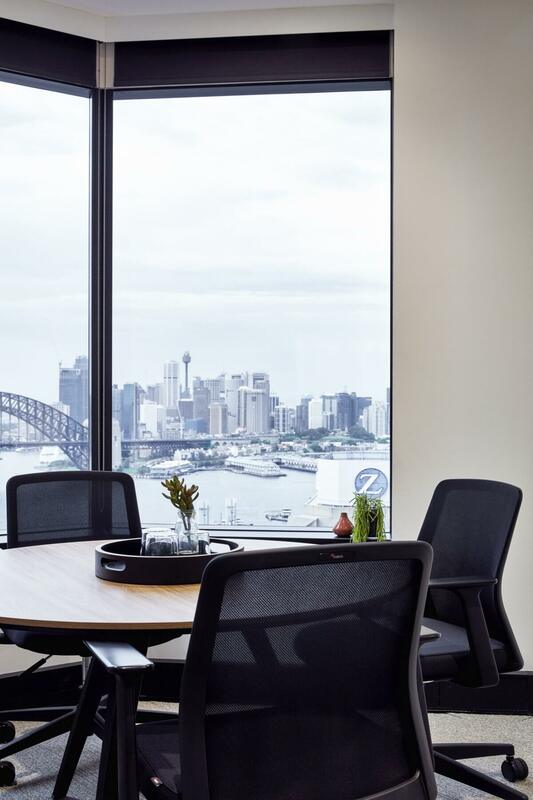 This collaborative approach with the local Sydney team ensured that we captured its unique team culture, which was both relaxed and down-to-earth. 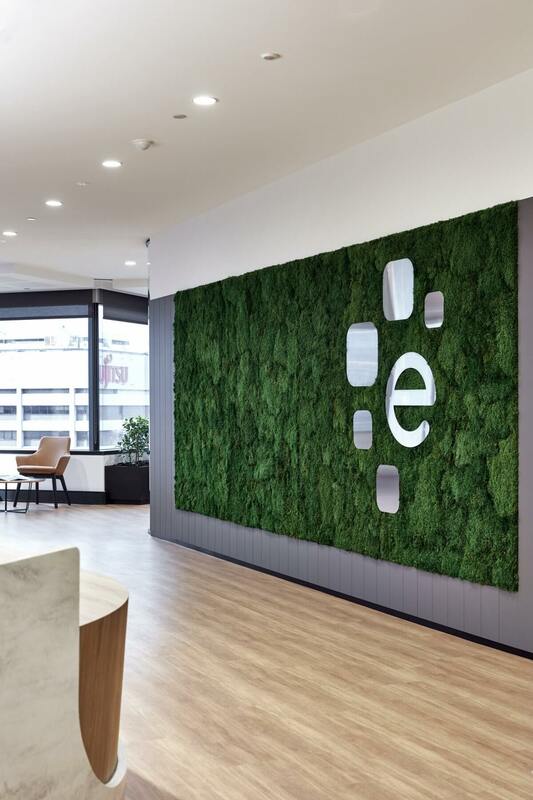 Working with the international brand guidelines we developed creative solutions to introduce bright branding and colours while maintaining a sense of sophistication. Setting the bar for Experian offices worldwide, the new space has the vibrancy and buzz that the team were after. 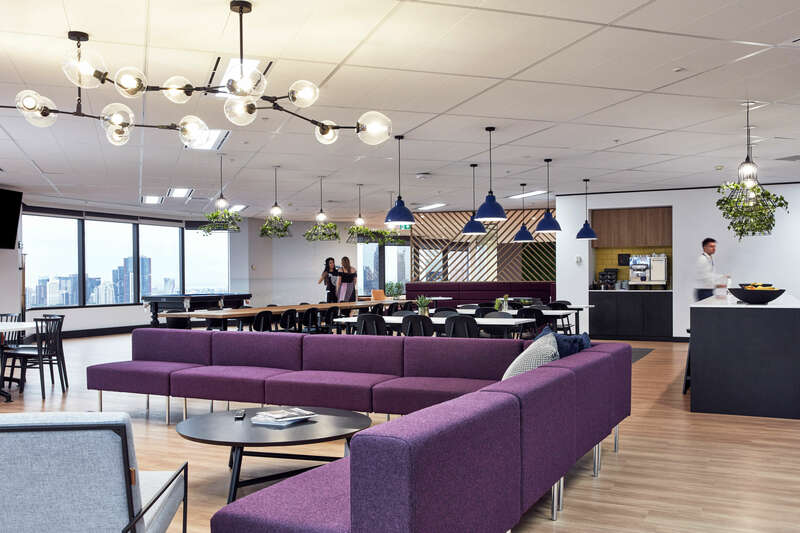 The open design has incorporated small nooks, quiet rooms, booths, indoor and outdoor spaces, meeting rooms large and small, providing the team with a range of areas to catch up and giving them the freedom to easily interact and collaborate in a way that was never available before. 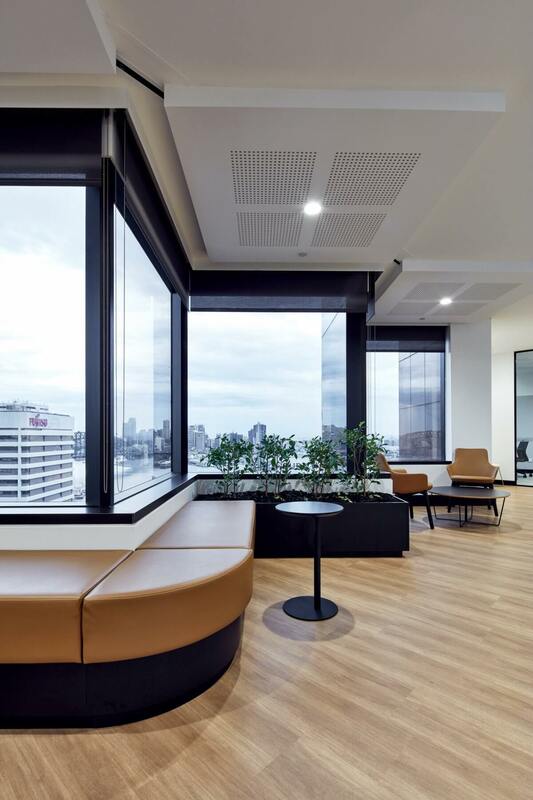 The stunning 360 views are shared among all staff members, with the best views showcase in common spaces for all to enjoy.